A hoodie is simply a piece of clothing with a hood. In former times a hoodie is almost always a jacket, but in today's time of fashion a hoodie comes in various forms including a hooded vest, a hoodie shirt, and a hoodie t-shirt! Photo #1 shows a grey hoodie jacket which should look familiar to you. 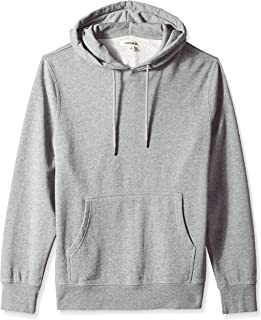 This hooded jacket is the most common form of hoodies. A hoodie jacket is usually paired with a t-shirt or a graphic tee and you look as casually stylish as can be! 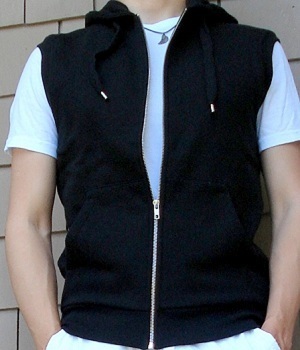 Photo #2 shows a black hooded vest where the vest has a hood over a white t-shirt. You simply throw on the vest over a t-shirt to create a simple yet trendy look! This hooded vest is great in warm weather where it rains a lot. If where you live rains a lot you'll soon appreciate the convenience of the hood! Photo #3 is one of the MOST unique items in my closet. This hoodie shirt is great for any casual gathering you have in mind for. 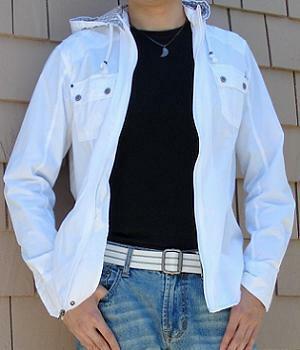 With a zipper this hoodie shirt can also be considered a lightweight jacket. This hooded jacket is great in any weather because it is thin. I simply wear this hoodie shirt over a black t-shirt and I cannot look better! What? A hooded t-shirt? That's right. The t-shirt in Photo #4 somehow has a hood on it and strangely the t-shirt does NOT look bad at all. 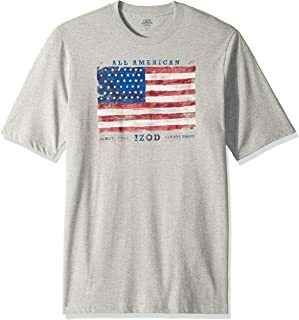 Being a t-shirt this piece of clothing is usually worn in the top alone. Having a hood and chest pockets this hoodie t-shirt has all the style it needs! As you can see you can put a hood on any type of men's clothes. In fact I live at a place where it rains a lot. So I tend to buy clothes with a hood so I don't need to bring an umbrella every time I go out!